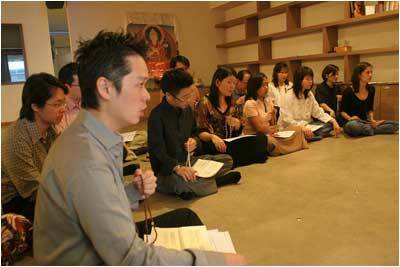 Kechara House runs a programme of regular weekly pujas that everyone is welcome to attend. Sometimes, however, special circumstances call for special pujas to be conducted. Perhaps you would like your new office or house to be blessed? Or perhaps a relative of yours is facing a particularly difficult obstacle that they need some extra help to overcome? In situations like these when you need extra help, Kechara House can arrange for specially commissioned pujas that supplicate the help of a particular enlightened being, to be conducted either at the centre or at a location specified by you (where appropriate). Costs for these special pujas vary, ranging in average from RM600 to RM3000 or more, depending on your needs and the gravity of the obstacle. In all special pujas, a minimum of four participants is required to perform the puja on your behalf and merits will be dedicated to you or those whom you specify. There are strict rules for the specially trained participants to observe when they perform these pujas, to ensure that the pujas are performed correctly, respectfully and professionally for you. Your contribution towards these pujas will cover the cost of conducting the puja, purchase of the offering items and the cost of running the centre. You will be notified of the date and time when your puja will be held. For more information about these special pujas, please contact us at +603 7803 3908 or house@kechara.com. Rinpoche also advises that, as a more meaningful and beneficial way to celebrate birthdays, we should encourage children to offer a khata to Lama Tsongkhapa or any deity and join in a Lama Chopa puja.